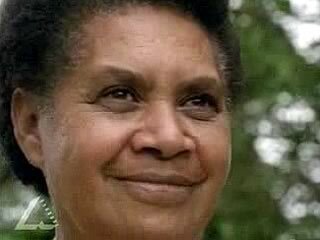 Video clip synopsis – Joe and Monica Leo are the descendents of ni-Vanuatu who helped build Queensland's sugar industry. Broadband MP4 southsea_bb.mp4 (16.6MB), suitable for iPods and computer downloads. Australian South Sea Islanders Discover the Past is an excerpt from the film Sugar Slaves (56 mins) produced in 1995. Few people know that the Australian sugar industry was founded on the sweat of men and women enticed or kidnapped from the islands of the South Pacific. Sugar Slaves is the story of that human traffic, euphemistically known as “blackbirding”. Between 1863 and 1904 about 60,000 islanders were transported to the colony of Queensland, where they toiled to create the sugar plantations. Then, after the introduction of a White Australia policy, most were deported. A unique community – the only substantial black migrant group in Australia – is at last uncovering the past. Students explore how and why civic and political rights, government policies and national identity have changed over time. Students have the opportunity to examine the development of multiculturalism in Australia and explore ways in which government policies, including immigration and Aboriginal policies have changed over time. Students discuss changes in Australian citizenship and examine why people become Australian citizens. Students investigate people, movements and events that have enhanced civil and political rights for specific groups of Australians. Queensland was deeply divided on the labour issue and in response to trade union or missionary and humanitarian pressures, governments banned the labour trade from time to time. Race relations had been one of the formative issues of the Federation movement of the 1890s. One of the first acts of the new Australian parliament after Federation in 1901 was the introduction of the Immigration Restriction Act 1901 (often referred to as the ‘White Australia policy’). Most South Sea Islanders were deported. A few thousand were permitted to remain and today north Queensland is home to more than 20,000 of their descendants. In 1994 Australian South Sea Islanders won official government recognition as a distinct ethnic group. Today Australian South Sea Islanders are beginning to trace their history and are finding their long-lost relatives in Vanuatu, the Solomon Islands and other Pacific nations. A unique community, the only substantial black migrant group in Australia, is at last uncovering the little known story of Australia’s sugar slaves. The documentary Sugar Slaves, from which this video clip is taken features the journey of Joe and Monica Leo — whose grandfather and father respectively were kidnapped and forced to leave their homeland — as they return to the birthplace of their forebears, Vanuatu. Using data from the video clip and other sources, students investigate the practice of using Pacific Islander workers or ‘blackbirding’ on the Queensland cane fields in the late nineteenth century. Summarise the event by listing the places the workers came from, the numbers involved, key dates in the practice, and the numbers of decendants living in Australia today. Explore with the students the reasons why the Pacific Islanders were denied civil rights and why government policies allowed the practice to continue for over half a century. Is it possible for similar foreign worker practices to exist in Australia today? What are ‘human rights’? Using the story, what human rights were denied to the Pacific Islander workers on the Queensland canefields? Why are the descendants of the original Pacific Islander workers now seeking legal recognition as a minority group in Australia? What sorts of policies would be supportive of their aims? What were the laws about becoming an Australian citizen at the time the practice of ‘blackbirding’ was taking place? What are the current policies and laws in Australia about becoming an Australian citizen? What do you have to do to become an Australian citizen? Why have the policies and laws about immigation changed since Federation? Should some people be excluded from becoming an Australian citizen?